Though it was announced last week that Persona Q2: New Cinema Labyrinth was coming to the Nintendo 3DS in the west, an official press release has been published today to provide the further details of the game and a new announcement trailer. 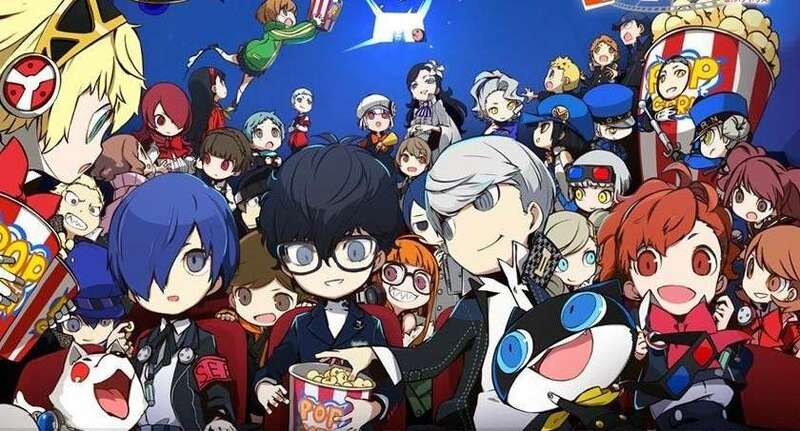 IRVINE, Calif. – February 5, 2019 – Persona Q2: New Cinema Labyrinth launches for the Nintendo 3DS™ on June 4, 2019! The highly-anticipated sequel to the first Persona entry to appear on Nintendo’s portable platform, Persona Q: Shadow of the Labyrinth, Persona Q2: New Cinema Labyrinth features the return of the iconic casts of Persona 3 and Persona 4, along with the arrival of fan-favorite characters fromPersona 3 Portable and Persona 5! Check out the opening movie for Persona Q2: New Cinema Labyrinth. Prepare to face a mysterious world of film in this challenging dungeon crawler. The Phantom Thieves are on another adventure as they find themselves trapped within a series of labyrinthine movies, each with its own unique twists and turns themed after various movie genres. Along the way, you’ll encounter other like-minded heroes who possess the will and strength to help you in your journey. But who is this mysterious girl Hikari, and how will the cast escape from this cinematic entanglement that transcends time and space!? The Launch Edition for Persona Q2: New Cinema Labyrinth (MSRP: €39.99 / 34.99 GBP) will be available only to pre-orders and a limited number of day-one purchases, while supplies last. This release will include a Nintendo 3DS™ copy of the game and an art booklet. · Joker Takes Center Stage – Experience a thought-provoking story from the perspective of the protagonist from Persona 5 as you along with the other Phantom Thieves meet the S.E.E.S. from Persona 3 and the Investigation Team from Persona 4 in a cinematic world! · Persona 3 Portable’s Female Heroine Steals the Spotlight – Persona Q2: New Cinema Labyrinth will feature the long-awaited addition of P3P’s female heroine who will play a pivotal role in your adventure through the silver screen! · Paying Homage to the Classics – Explore a series of labyrinths parodying popular film genres with plenty of references true film fans will love! · We’ve Got Company – Persona Q2 expands on Persona Q and Persona 5’s combat systems, including a new Unison feature. By completing side quests, certain groups and pairings will team up to unleash their own special attack! · For the World Cinema Aficionados – Immerse yourself in Persona Q2: New Cinema Labyrinth thanks to its Japanese voice audio track with English subtitles. This will mark the first time many fans will hear the original Japanese voices of the Persona 3 cast!